A very tough and also attractive ornamental grass Anemanthele lessoniana is an evergreen species commonly called Pheasant’s Tail Grass. Also known as New Zealand Wind grass, the tall flower heads sway around gracefully in the breeze from summer onwards. This is a clump forming grass and we think it looks at its best when spaced around 1.5m apart or from other plants. You could also mass plant it to good effect if desired. It is the long arching flower stems and great colour that make this such a good ornamental grass. Pruning is actually not required as the new foliage takes over from the old. For a tidier look try cutting back by 50% before new growth commences in spring. Usually from seed or division of clumps. 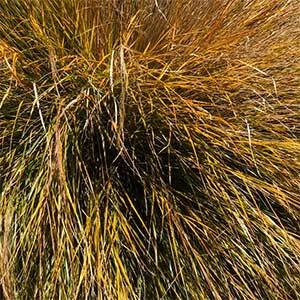 Common Name – Pheasant’s Tail Grass or New Zealand Wind Grass and Gossamer Grass. Foliage – Green to golden yellow.. Flowers – Rusty Red to orange. Pruning – Cut back by 50%.